for users located outside of the European Economic Area, Switzerland or the People’s Republic of China (excluding Taiwan, Hong Kong and Macau): Tencent International Service Pte. Ltd. Cookies are text files containing small amounts of information which are downloaded to your device when you log in to your WeChat account or use certain WeChat features. Cookies are then sent back to the originating server on each subsequent visit, or to another server that recognises that cookie. Cookies are widely used in order to make the WeChat work, or to work more efficiently, as well as to provide information to the WeChat team. Cookies do lots of different jobs, like letting you log in efficiently, remembering certain preferences, and generally improving the user experience. Cookies may tell us, for example, whether you have used the WeChat before or whether you are a new user. We only serve cookies directly from us to your device. We do not serve any third party cookies. Cookies can remain on your device for different periods of time. Some cookies are 'session cookies', meaning that they exist only while your application is open. These are deleted automatically once you close the application. Other cookies are 'permanent cookies', meaning that they survive after the application is closed. They can be used by WeChat to recognise your device when you open and use WeChat again. customise and enhance your WeChat experience. Cookies necessary for essential services These cookies are essential to provide you with the WeChat and to use some of its features, such as to authenticate log-in, secure WeChat and your information, and prevent fraudulent, criminal or other suspect activities. Without these cookies, services you have asked for, like transactional pages and secure login accounts, would not be possible. Please see the instructions set out in 'How to control or delete cookies' below. Advertising and Tracking Cookies As you use the WeChat Services, you will notice that Official Accounts may make available or advertise products or services to you. We do not allow third party companies, including advertising companies, to place cookies on the WeChat Services, however, if you click the links displayed on Official Account pages, you will be taken to webpages operated by the relevant third party. The third party may place cookies on your device when you interact with their products, services or webpages. All the operators of Official Accounts or other third parties that we work with have their own privacy policies and offer a mechanism for users to opt out tracking and behavioral targeting available through the opt out mechanisms listed in the 'How to control or delete cookies' section below. Most devices (in the case of mobile applications) allow you to change your cookie settings. These settings will typically be found in the “options” or “preferences” menu of your device. In order to understand these settings, the following links may be helpful. You can opt out of seeing online interest-based ads from WeChat Services and other participating companies through the Digital Advertising Alliance in the US, the Digital Advertising Alliance of Canada in Canada, or the European Interactive Digital Advertising Alliance in Europe or through your device settings. 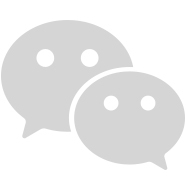 If you have any questions or comments about this cookies policy, or privacy matters generally, please contact us via email at dataprotection@wechat.com or via post at 26.04 on the 26th floor of Amstelplein 54, 1096 BC Amsterdam, the Netherlands.